Unripe bananas travel from all around the world but always end up ripe and yellow on the supermarket shelves. This experiment shows us how. 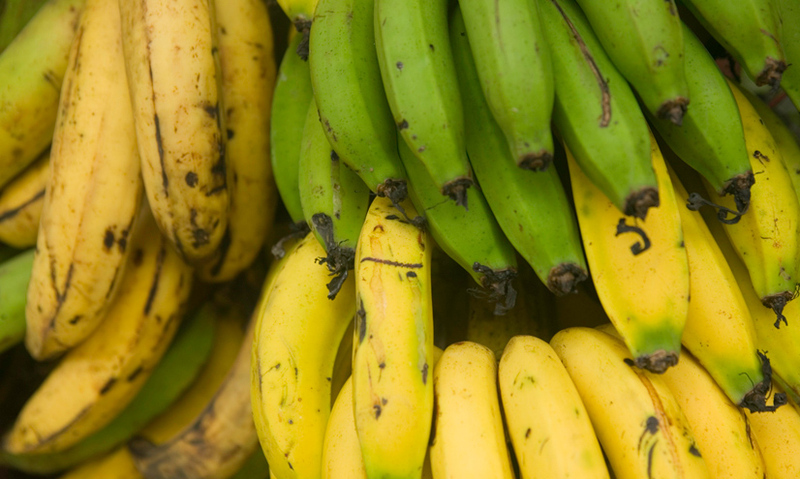 Millions of bananas are exported across the world from Ecuador, Costa Rica and Colombia. Bananas are exprted whilst they are unripened and green, so they don't get bruised or damaged. Supermarkets use ethylene gas to ripen the imported bananas ready for sale. Ethelyne occurs naturally in fruit as it ripens. Ecuador, Costa Rica and Colombia produce a clear majority of the world's bananas. They are a healthy and wholesome food, and in some countries provide nearly a third of an individual's diet.